Andre Braugher received another Emmy nomination for his role as Captain Holt on Brooklyn Nine-Nine today. The two-time Emmy-winning actor was nominated in the Outstanding Supporting Actor for the second year running. The other nominees for the award are Girls' Adam Driver, Key and Peele's Keegan-Michael Key, Modern Family's Ty Burrell, Unbreakable Kimmy Schmidt's Tituss Burgress, and Veep's Tony Hale. Last year, the award went to Ty Burrell. 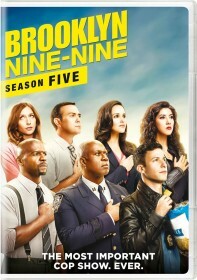 This is Andre Braugher's ninth Emmy nomination in total across his career. Andre Braugher won his first Emmy back in 1998 for his role as Frank Pembleton on NBC's Homicide: Life on the Street. He won a second Emmy for his role on the FX miniseries Thief. The 67th Annual Primetime Emmy Award ceremony will be hosted by Brooklyn Nine-Nine's very own Andy Samberg. The ceremony will air live on FOX on Sunday, September 20 at 8/7c.